The U.S. Army aims to expand operations of the battle command system of its future Integrated Air and Missile Defense platform, Defense News reported Friday. The IAMD Battle Command System was originally designed to serve as the command-and-control system for IAMD, which is under development to replace the Army’s existing Patriot missile defense systems. The Army looks to use IBCS to integrate other air and missile defense systems, such as Patriot sensors, Sentinel radars and the Indirect Fire Protection Capability. 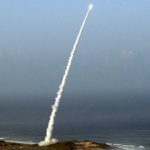 Barry Pike, Army program executive officer for missiles and space, said the service branch wants to combine all sensor information possible into an integrated fire-control network that can help disrupt various airborne threats including ballistic missiles, cruise missiles, air-to-surface missiles and aircraft. IBCS was initially scheduled to achieve initial operational capability in fiscal year 2018 but is now slated to reach IOC in FY 2022.